I have been waiting to introduce you to a friend of ours for quite some time. There are some friends that you support what they do because you should, because it's the right thing to do. Then there are friends you support because you'd be crazy not to, because what they do really is unique, really is quality, really is worth telling others about. And because the friend I'm about to introduce is in this category, you know I'm going to share with you all, my blog family (insert chorus of "awww" here). 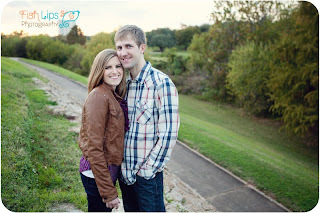 Friends meet Justin Ramsey and his wife Kelley. Actually it's Dr. Ramsey because he is a dentist. 1. His office, with Floss in Houston- Rice Village, to open. 2. For me to actually go in and see him (had to test him out before a recommendation). Y'all it truly is a unique experience. The two words that I kept thinking on the way home was approachable and innovative. The vibe of the place is L.A. (cool, modern, lots of gadgets), but the people have the approachable charm and care of the south. I have never in my life felt like I got such thorough care at a dentist appointment. Give it a try and I promise you will be amazed. -FREE WHITENING FOR LIFE. Not a typo. Professional quality teeth whitening for life (good-bye lame-o Crest strips that are bad for your teeth anyway). -His "bedside manner"- some doctors aren't very kind. Dr. Ramsey is so kind, funny, charming, compassionate, and knowledgeable (it took a long time to get that Dr. before his name, and trust me, as his friend, he worked hard for it. Not to mentioned his has been mentored by one of the best in his field, Dr. Herzog.). -Location. Location. Location. I don't know a single person that doesn't love a good excuse to go to Rice Village. You can make an entire half day out of it-- lots of great shops and cafes in that area. -Panoramic xrays that allow them to scan for pre-cancerous and cancerous signs, as well as cysts and other concerns. -Intra-Oral Photography: They take pictures of your teeth with a little wand and immediately it pops up on the TV screen 2 feet from your face. Allows you to see what Dr. Ramsey sees. -Speaking of the TV, their media capabilities are so fun-- from the music playing over the speakers to the flat screen TVs every where (with patient controls). This is especially great for anyone that has to have a longer procedure done or needs the distraction due to fear of the dentist. But the perk of this is that you get to see all the images of your teeth to really get to understand his feedback. Also, watch a video HERE to meet Dr. Ramsey and hear more about his office.